There is nothing better in the morning than a nice cup of tea and a piece of toast that has homemade orange marmalade spread all over it. The good news is that making this fruit spread is a lot easier than you may think. Give it a try … I think you’re going to love it. 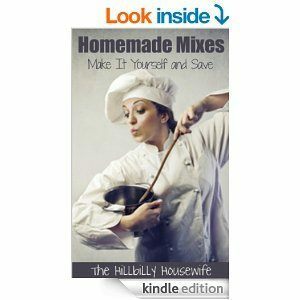 I first started playing with marmalade recipes when I started reading a lot of English novels. Just hearing about the tea and toast made me want to sit there with my book and enjoy the same treat. I bought a jar of marmalade at the grocery store, but didn’t care for it much. This homemade version is much better. It also makes for a nice afternoon treat. Prepare 4 half pint jars and lids by sterilizing them, keeping them hot, and get your hot water bath canner ready. Prepare the oranges by washing them well (removing any stems), thinly slice into circles, then quarter, discarding seeds as you do. Put the orange slices and water in a large cooking pot over medium-high heat and bring to a boil, boiling for 5 minutes, stirring frequently. Remove from heat and let sit out overnight in a cool place. The next day, put pot over medium-high heat and bring to a boil, continue at a rolling boil for 1 hour, stirring frequently. Remove from heat and let stand for 4 to 5 hours in a cool place. Add the sugar, stir to dissolve, then put pot over medium-high heat and bring to a boil. Stir frequently while you continue boiling the mixture until it forms a jelly texture. Test with your cold metal spoon for doneness by dipping the spoon in the liquid and removing. When jelly no longer drips from the spoon and slides off slowly in a sheet instead, it has jelled properly. Remove the pot from the heat and stir in the lemon juice. Remove from heat, let sit for 5 minutes, then remove jars to a towel covered counter, leaving plenty of room in between jars for air circulation. Let sit undisturbed for 12 to 24 hours. This recipe was adapted from one featured in the Homemade Jelly and Jam Recipes Kindle book. 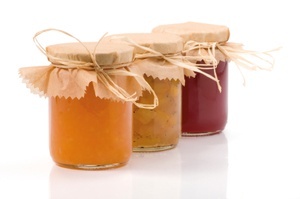 Grab your copy today for more jelly, jam and marmalade recipes.